Gambler KO Hooks are Super Sharp and Super Strong to hold up to the riggors of punching and flipping big fish. 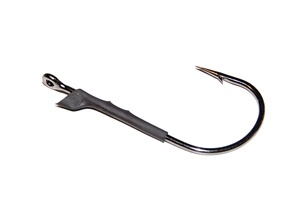 KO Hooks feature welded eyes, black nickel finish, and heat shrink KO Keeper barbs. 5 Per Package. Available in 3/0 and 4/0.